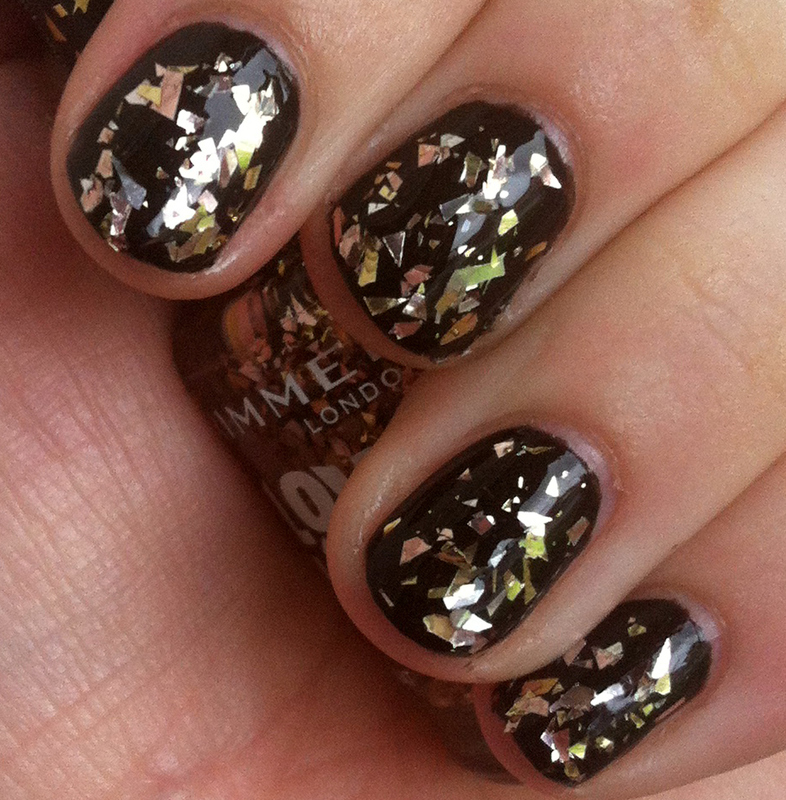 Seeing as it's almost Christmas time, it's almost time for loads of glitter nail polishes! For the past few years, Rimmel have brought out some new glitter polishes, in 2012 they brought out the Precious Stones and last year it was the Glitter Bomb range. This year it's the Love Glitter range and the shade Mistletoe Mischief stood out the most to me. It's a mix of gold, rose gold and silver flakes of glitter. I've paired it over a black Essence polish. 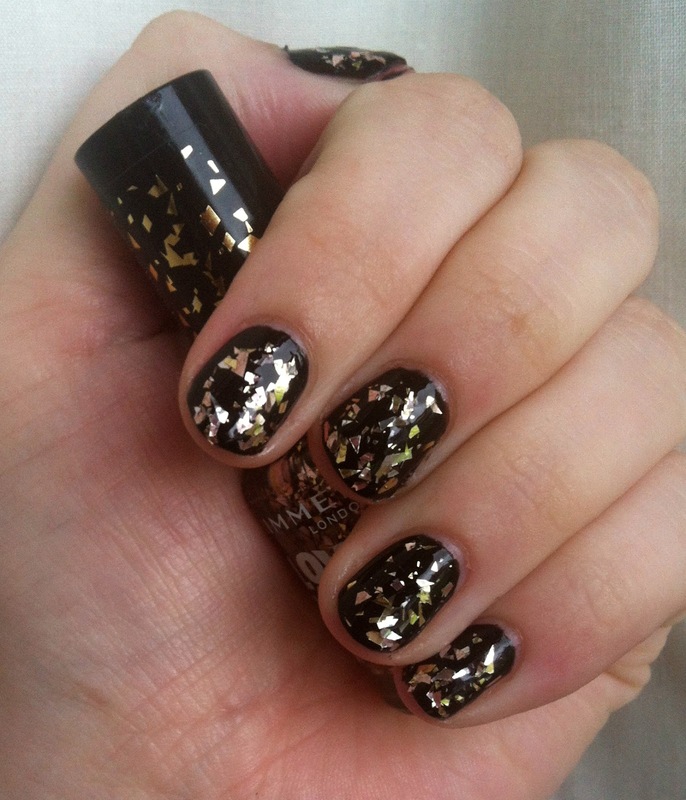 For more black and gold nail ideas, you can check out this post here. The Love Glitter range has 5 polishes in total and should be on all Rimmel stands now. Definitely my favourite from this collection! Oh this is gorgeous! Think I'l have to pick it up! I'm trying to decide what other colours would look good with this! It's tempting to stay with dark colours but I'm curious about mint green!